Montana has a progressive income tax system with seven income brackets and rates ranging from 1% to 6.9%. 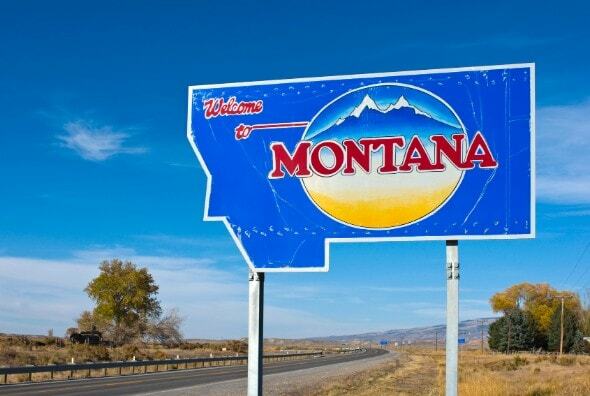 All taxpayers in Montana are subject to the same brackets regardless of their tax filing status. No cities in the state levy local income taxes. If you are legally employed in the Treasure State, you can expect your employer to withhold FICA taxes and federal income taxes from your paychecks. Medicare and Social Security taxes together make up FICA taxes. You pay into these systems now so you can receive the benefits when you are retired. You pay 1.45% of your wages in Medicare tax and 6.2% in Social Security tax. Your employer matches your contribution. Any wages you have in excess of $200,000 are subject to a 0.9% Medicare surtax, which your employer does not match. Keep in mind if you are self-employed, you are responsible for paying the total 2.9% in Medicare tax and 12.4% in Social Security tax yourself, though you can deduct half that payment. How much gets withheld in federal income tax varies from person to person and is dependent on a number of factors including your salary, your marital status, how many allowances you claim and if you have opted to have additional tax withheld from your paycheck. Your employer looks to the information that you provide on your W-4 form to determine how much should be taken out of your paycheck for taxes. Note that withholding calculations changed slightly from 2017 to 2018 because of the tax plan that President Trump signed into law in December 2017. The IRS released updated tax withholding guidelines in January 2018 and taxpayers should have seen changes to their paychecks to reflect the new tax rates starting in February 2018. If you didn’t double check your withholdings at that time, it’s a good idea to look over your W-4 in early 2019. Besides FICA taxes and federal taxes, you can elect to have additional money withheld from your paycheck. If you have employer-sponsored health or life insurance, you save money for retirement in a 401(k) account or you contribute to a Flexible Spending Account, the money you put into these benefits will all be subtracted from your salary before it hits your bank account. Montana’s state income tax system is progressive, meaning that higher earners are taxed more than lower earners. The tax brackets in Montana are the same for all filers regardless of filing status. The first $3,000 you earn in taxable income is taxed at 1%. The rate jumps to 2% on income above $3,000 and up to $5,200; 3% on income up to $8,000; 4% up to $10,800; 5% up to $13,900; 6% up to $17,900 and 6.9% on taxable income over $17,900. No Montana cities levy local income taxes, so taxpayers only have to worry about state and federal taxes. If you’re planning a move to the Big Sky State or otherwise looking to get a mortgage in the state, take a look at our Montana mortgage guide for everything you need to know about the mortgage process there. If you are looking to pay less in taxes in Montana and you don’t mind receiving smaller paychecks, you can contribute more money to a retirement account like a 401(k) or 403(b). Not only are you putting money away that you can enjoy down the road, but since money that goes into a 401(k) or 403(b) comes out of your paycheck before taxes are deducted, you are actually lowering your taxable income. That lowers how much you have to pay in taxes. Along the same lines, you can use pretax money to take advantage of a health savings account or flexible spending account if your employer offers them. You can pay for medical-related expenses like prescriptions or co-pays from these accounts. Keep in mind that only $500 in an FSA can roll over from year to year. In other words, you need to actually use whatever you put in your FSA, or you’ll lose those funds. It might seem counterproductive to opt to receive less money in your paycheck but remember: You are setting aside cash you would spend anyway and avoiding paying taxes on it.